Malice is of a low stature, but it has very long arms and piercing roots. Having extended its reach in the wedlock of presumed Man of God (MoG), Pastor Chris Oyakhilome, it cracked its basement and ripped his family apart inside out. Even the self-acclaimed evangelist and man of God could not summon the faith and heavenly grace to resist the devastating blows of malice and discord in his marriage. Little wonder his marriage with his beautiful wife, Anita, crashed like a sand castle. However, rather than keep a low profile or sulk in private over his inability to save his marriage and practice what he preaches, Pastor Chris is planning to remarry. According to a source in his church, the dandy cleric is considering taking another wife. Although he hasn’t made this known to his congregation, findings revealed that a large segment of his congregation are already aware of his plans to take another wife. But rather than urge him to reconcile with his wife, they are cheering him on. The ladies in particular have started positioning themselves to fill up the void created by Anita’s departure from his life. Already, a lot of fair-skinned ladies in the church’s branches at home and abroad have started jostling to become the next Mrs. Oyakhilome. But Pastor Chris is reportedly not interested in any of them. Sources revealed that by the time he names his new bride, every member of his congregation will gape in surprise. 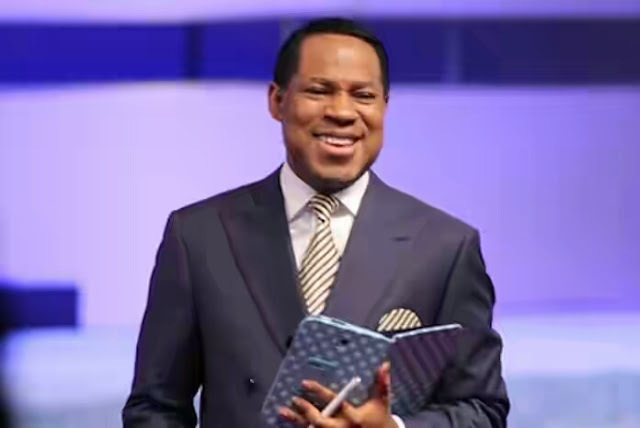 Pastor Chris allegedly gave up on his former wife when it became clear to him that there was no way that they could resolve their differences and save their marriage. Previous attempts to reconcile the couple by church elders, friends and family had proved futile. But while her husband prepares to take a new bride, Anita has reverted to her maiden name. She is now to be addressed as Anita Ebhodaghe.